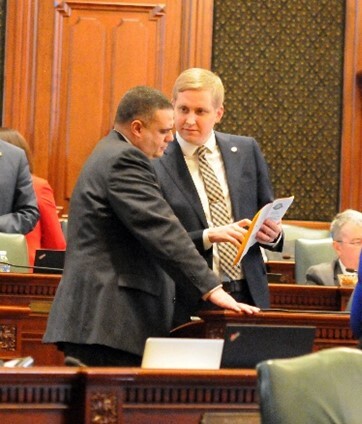 DIXON… State Representative Tom Demmer (R-Dixon) issued the following statement following Governor Rauner’s Budget Address on February 14th. “Governor Rauner was spot-on in pointing out that we must allow our economy to grow at a faster rate than our government. He presented a number of relevant statistics about job growth in our surrounding states. This job growth in nearby states, of course, leads to fewer opportunities for families and less revenue for government, here in Illinois. I agree with the Governor that we must reform our state government to create a better pathway for citizens of Illinois. I look forward to the work ahead to accomplish this goal,” said Rep. Tom Demmer following the speech on Wednesday.